A few weeks ago, Celine Duvoisin walked down Central Avenue with a handful of flyers and a box filled with decadent desserts. As she handed out cookies, cakes, and other sweets to unsuspecting businesses, she let them in on an another exciting surprise: Valhalla Bakery has arrived in Downtown St. Pete. 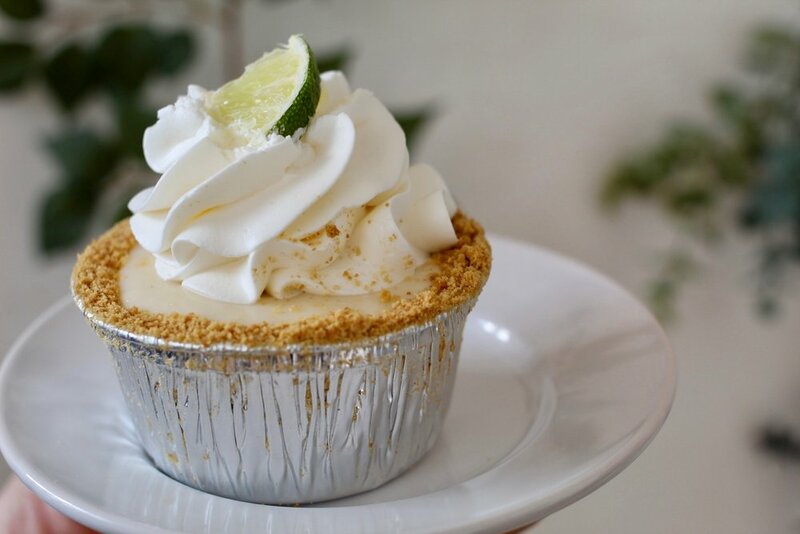 You can find St. Pete’s newest bakery at 1113 Central Avenue inside Baum Avenue Market, which also houses two other food concepts — Serene and Avocado Valley. Serene is a wellness bar featuring smoothies, smoothie bowls, and wellness lattes. Avocado Valley is a Mediterranean and Middle Eastern-influenced eatery that utilizes fresh healthful ingredients. This is the second location for Valhalla Bakery, which debuted in Orlando in 2015. Over the past three years, Valhalla has evolved from selling out at farmers markets to opening up two storefronts and twice being crowned Orlando’s Best Bakery. Baum Avenue Market is home to three food concepts, including Valhalla Bakery. Some of the greatest hits from Valhalla’s menu include the Chocolate Chunk Cookie, the Cinnamon Roll, the Death Bar, and the YOLO. The Death Bar is a brownie smothered in a thick layer of peanut butter crunch filling, topped in candied Oreos, chocolate chips and ganache. The YOLO is two chocolate chunk cookies, filled with a thick layer of smooth bourbon buttercream. The bakery also sells muffins, cupcakes, tarts, pies, scones, and more. 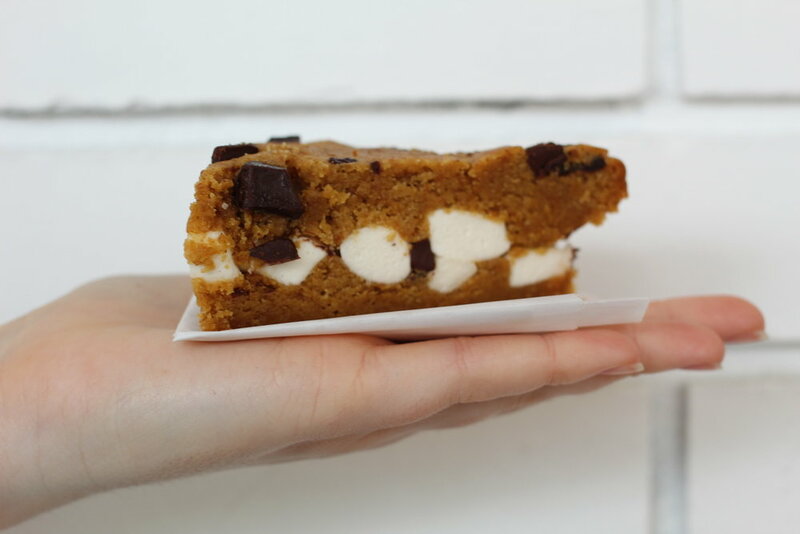 As a side note, all menu items at Valhalla are vegan (and never gluten-free), but these treats are so delicious we promise you would’ve never known if we hadn’t told you. “Shortly after launching Valhalla, I realized that there is an entire market that wasn’t being catered to. Plus I’d been vegan for 17 years and have many vegan friends,” says Duvoisin. And so the decision was made — Valhalla Bakery would become 100% vegan. As for why the bakery is named after Viking heaven, Duvoisin acknowledges her deep Dutch roots and then recites the viking phrase “Victory or Valhalla”. It is Norse belief that a viking entering battle only has two potential outcomes — victory (live to fight another day) or Valhalla (die in battle and get accepted into Viking heaven). With this mindset, you can never lose. Duvoisin was a self-described street punk growing up in Nanaimo, British Columbia on Vancouver Island. In her teens, she ran off to join the carnival, traveling across Canada setting up giant tents and hosting carnival games — her specialty was ring toss. After a chaotic six month stint on the road, she had enough and moved back home to work for her father. Not long after, she met her future husband in a rockabilly-themed online chat room. When he proposed, she moved down to the United States and got a job working as a bakery clerk at Publix. Duvoisin quickly climbed the ranks, eventually making her way to bakery manager. Before long, she had been with Publix for nearly a decade and had learned an enormous amount of baking and business knowledge. “I wouldn’t be where I am today without Publix,” says Duvoisin. Because of Publix, she knows how to scale a business and also finish a cake in 7 minutes. “You learn quickly when you are pumping out 50 cakes a day!” says Duvoisin with a smile. While still at Publix, Duvoisin started renting out kitchen space at the East End Market and would bake overnight for local farmer’s markets. In 2014, Duvoisin decided to hang up her Publix apron for the last time in order to pursue her dreams of opening her own bakery, getting hand tattoos, and driving something other than a Prius, Publix’s company car. With Publix in the rearview mirror, Duvoisin was ready to embark on her next adventure. After nearly a year of planning, construction, and going way over budget, Valhalla Bakery opened their doors in October 2015 inside Orlando’s Market on South, a shared space with Dixie Dharma that focuses on plant-based dining. Aided by her loyal farmer’s market customers, word started to spread about Valhalla’s new brick and mortar store. The rest of Orlando started to take notice too. And before long, the line for Valhalla treats, specifically their vegan donuts, would routinely wrap around the store. Around a year later, in an attempt to keep up with demand for her popular vegan donuts, Duvoisin debuted Valkyrie Donuts across from the University of Central Florida. The plan is to operate a Valhalla Bakery pop-up inside of Baum Avenue Market in the EDGE District for around a year, until buildout is complete on the permanent storefront, which Duvoisin is still searching for. Once the permanent location is open, Valhalla will have a wider menu than what is available at the original Orlando location. 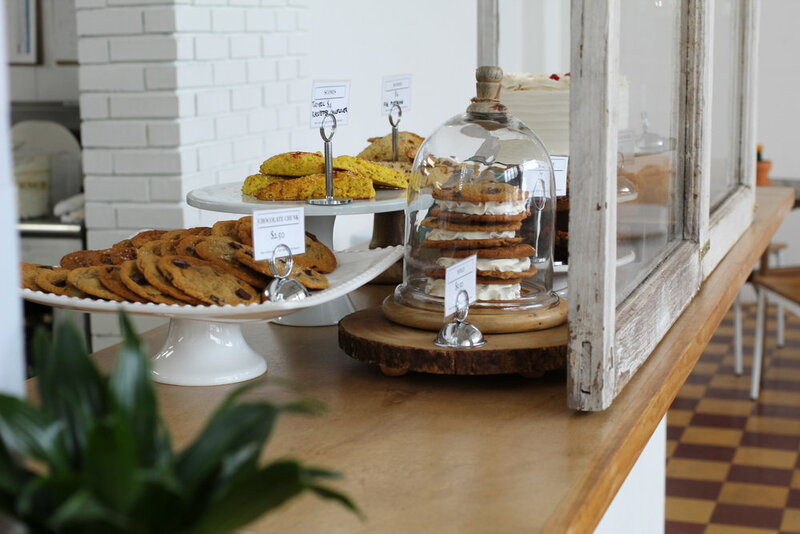 St. Pete will add scones, more cookies, more cake slices, and a beer/wine license. If their success in Orlando is any indication, Valhalla Bakery will soon become a staple in Downtown St. Pete as well. Do yourself a favor and check them out before the lines start forming. Valhalla Bakery is now open at 1113 Central Avenue inside Baum Avenue Market. Hours are 11am to 4pm on Tues/Wed/Sat/Sun and 11am to 10pm on Thurs/Fri. Be sure to visit Valhalla Bakery’s website and follow them on Instagram if you want to know what delicious treat just came out of the oven!